The X-Station PowerExtension II Female Version (Hi-Power Circuit Design) is a solution from Bitspower to easily distribute power from any location in your chassis. 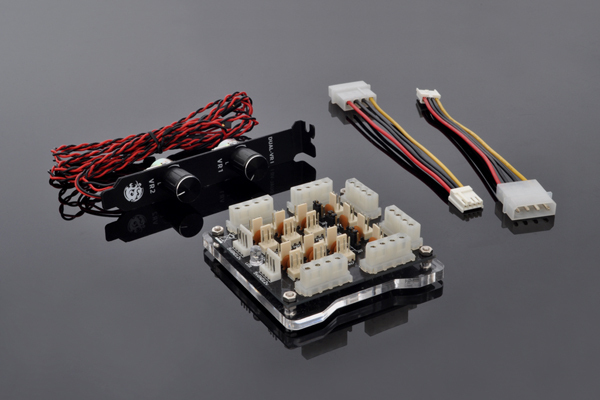 These power stations are extremely useful and features six 4 Pin standard power connectors, and a whopping twelve 3 Pin standard power connectors. The unit also lights up onboard LEDs. All of this is powered by two standard 4 Pin connectors!